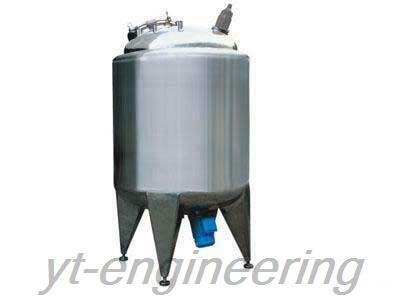 Magnetic stirring tank is also known as batching tank or magnetic reaction kettle. It can be used for transferring, subpackaging and storing kinds of liquids. Micro motor drives high temperature powerful magnet to produce rotating magnetic field so as to drive the stirrer in the vessel rotate. Thus solution can be heated and be fully mixed in the setting temperature. 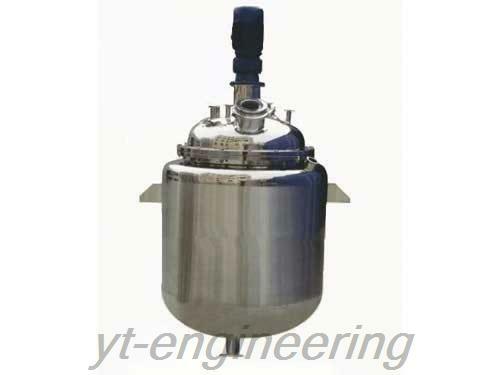 CJG magnetic stirring tank is widely used in biological, medical, chemical and chemical engineering fields. 1. It is configured with powerful magnetic stirring system to guarantee no leakage. 2. With simple structure, it is easy to dismantle and clean without dead angle. 3. 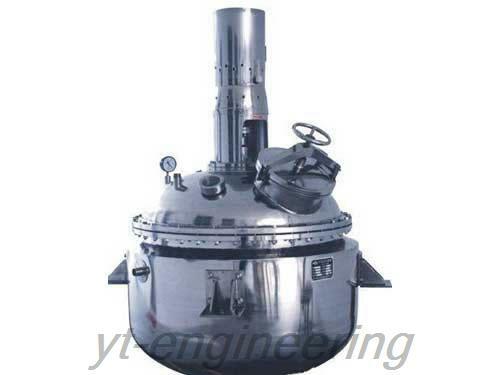 CJG magnetic stirring tank is made from stainless steel conforming to national GMP standard. 4. This batching tank possesses advantages of energy saving, corrosion resistance, strong production capacity, and so on. 5. Installed with castors, it is easy and convenient to move. 1.This batching tank can be used as liquid storage tank, material mixing tank, temporary storage tank, water storage tank, and so on. 2.It has become essential equipment for dairy products, food, beverage, pharmacy, chemical engineering and bioengineering manufacturers. 1.The volume of this batching tank is from 50L to 20000L. We can also design and manufacture products according to actual needs. 2.We adopt magnetic stirring method. 3.The thermal insulation material of this magnetic stirring tank uses polyurethane foaming or pearl wool that are resistant to high temperature and ageing. 4.We adopt quick-change chuck type connector and imported 316L or 304 liner. The roughness of internal surface mirror polish is equal to or less than 0.4μm (Ra ≤ 0.4μm). 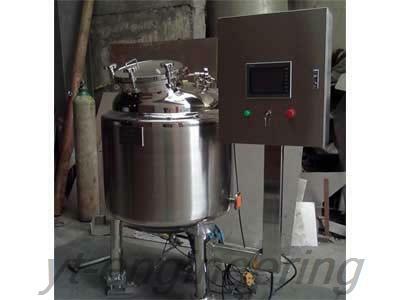 5.This batching tank is installed with liquidometer, air respirator mouth, thermometer, CIP cleaning mouth, sight glass, anti-explosion light, CIP sterilization mouth, liquid in-out mouth, cleaning hole, etc. Jiangsu Yutong Drying Engineering Co.,Ltd. 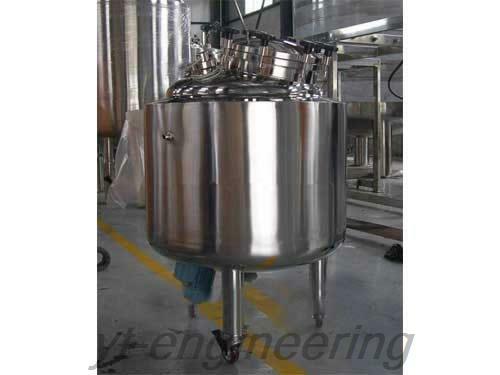 is a professional manufacturer of magnetic stirring tanks in China. We possess 10 professional engineers and technical personnel and over 100 sets of processing equipment. Over the years, we make efforts to the development and production of batching tanks. For more information about our tanks, please feel free to contact us.